Entertainer android robot. 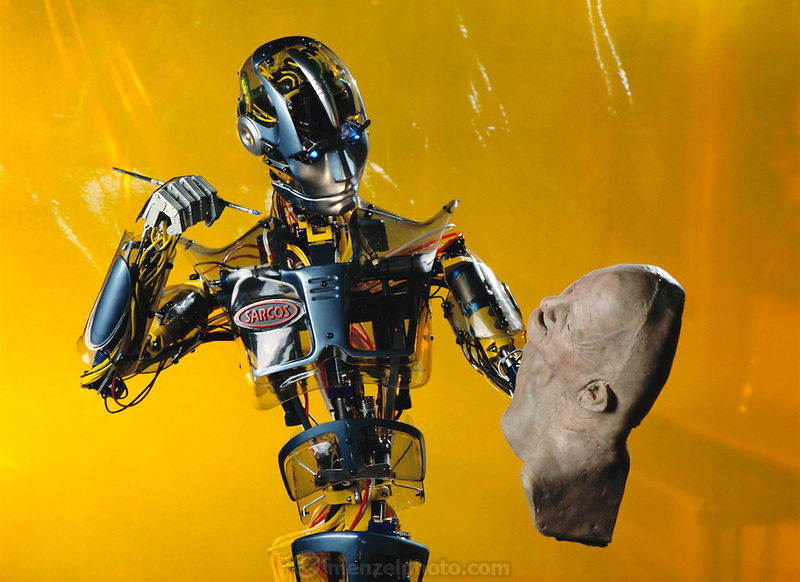 View of SARCOS, an android (human-like) entertainment robot, posing as if about to contemplate his next brush stroke on a life-like robot mask. SARCOS was developed at SARCOS Research Corporation in Salt Lake City, Utah, USA. Photo-Illustration. Robo sapiens Project.